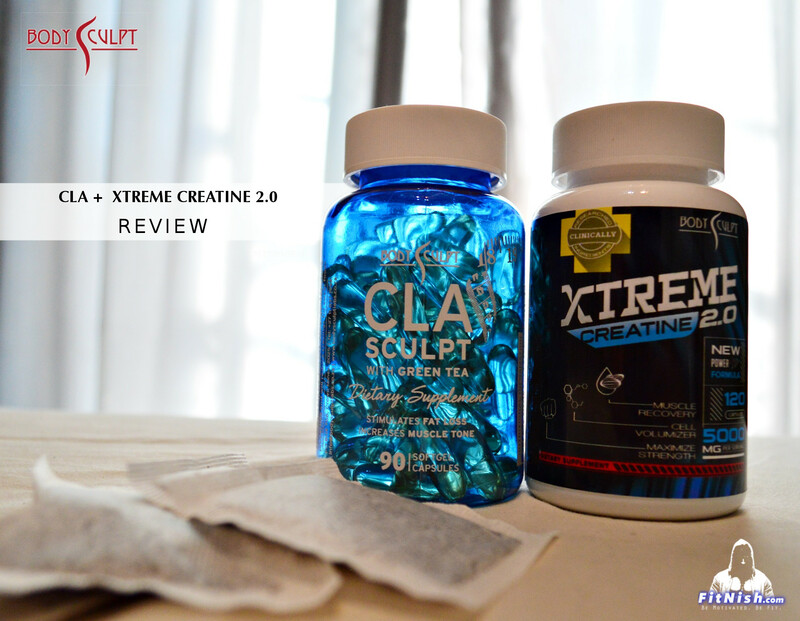 I was lucky enough have access to two supplements from Bodysculptlabs, namely the CLA Sculpt and the Xtreme Creatine 2.0. 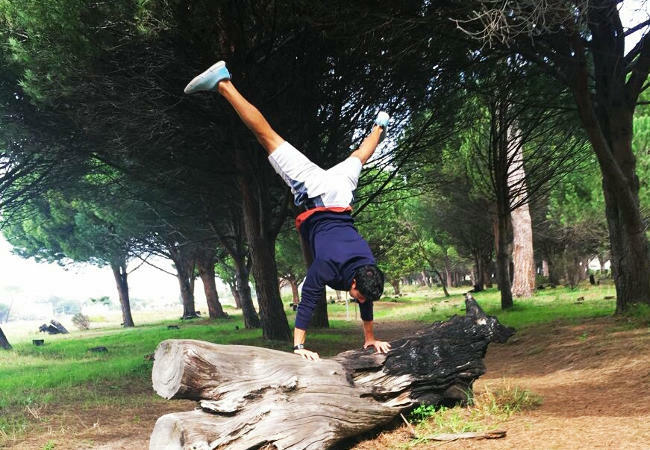 Bodysculptlabs is run by a truly incredible and helpful bodybuilder, Mohseen Patel. He is an exceptionally friendly guy and always willing to help and give out great advice. He also wrote a complete article on training and eating healthily during the fasting month of Ramadaan, which can be quite helpful to anyone going through a fast. These two products are quite specific products and have few but focused ingredients. Lets take a look at the CLA first. Cla (Conjugated Linoleic Acid) in essence is an essential fatty acid found in safflower oil. Studies show that it targets areas of stored body fat and mobilizes these stores, so that the body can then burn the fat as a source of energy. This in turn aids with weight loss, which is what most people are after. 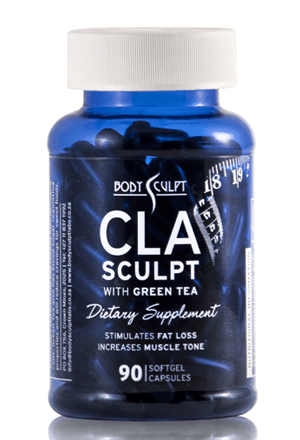 This particular CLA is great as it also includes EGCG, which is a form of green tea extract, as well as Vitamin E.
Something to note though, when using CLA (any CLA), it needs to be taken over a few months to really start seeing or noticing the effects. You cannot expect to take it for 2 weeks and think that suddenly the weight will melt off. It is a process and it’s not like a pre workout supplement for instance, that gives you energy instantly. Some people do find that CLA also helps with controlling hunger and cravings, but this may differ from person to person. The bottle costs R269 including delivery! It consists of 90 capsules and you are recommended to take 1 capsule 3 times a day before meals. Thus it will last you a full month, which is great. Creatine has been around for decades all the way back from the time of Arnold, and is still probably one of the most common supplements around apart from protein powders. Creatine has been shown to increase strength and energy levels and boost muscle performance as well as recovery. As always it is a SUPPLEMENT to your diet and does take some time to reap the benefits and is not instantaneous. 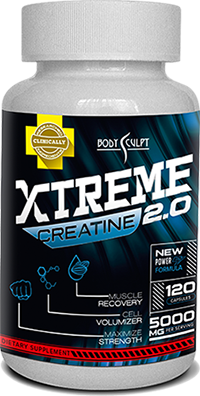 Xtreme Creatine 2.0 consists of a few ingredients. Creatine Ethyl Ester, a modified and readily soluble form of Creatine that facilitates advanced absorption, increased availability, and stability. These advantages together with premier benefits of ingredients including Beta-Alanine, Taurine and Alpha Lipoic Acid, will provide the support you need to train harder, heavier, and more often. 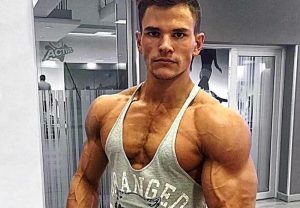 This is one of the first supplements I have used in a very long time, and when I took it for the first time, I experienced an amazing pump and had a lot of energy. 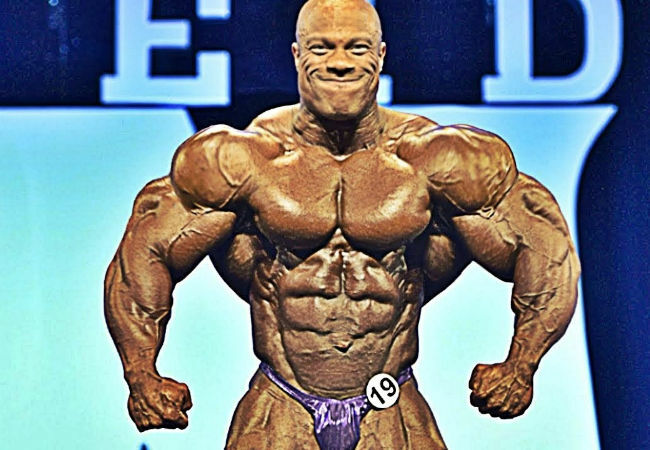 It could be that I haven’t used any creatine or supplements in a while, but ordinarily I have never really responded to any sort of stimulants or pre workouts. So I’m sure I can attribute a lot of the credit to this supplement. I was able to train for longer and I noticed my recovery time between workouts was significantly better. The bottle costs R279 and consists of 120 capsules. You are recommended to take 4 a day, 2 before and 2 after training. OR 4 before bed on non training days.Thus it will also last you a full month. For more information on Body Sculpt Labs and their products visit their website at bodysculptlabs.co.za or check out Mohseen.